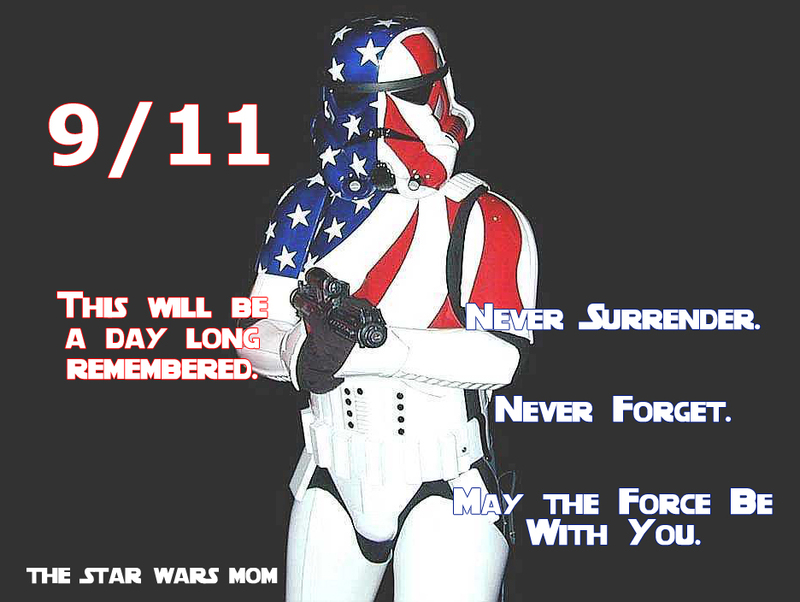 9/11 This will be a day long remembered. Never surrender, never forget. May the force be with you. Star Wars patriotic stormtrooper. No matter which side of the political spectrum, one thing we can all agree on is that September 11, 2001 was a day of tragedy for those who lost family and friends and all the lives lost since in the war on terror. While I have strong political opinions, this blog is not about my personal political and/or religious views. It is about raising up children to enjoy Star Wars. Star Wars is a wonderful way to introduce children to concepts of good and evil in the world and how they can choose their path and which virtues they will manifest for the good of others.